Designed for all types of athletes as well as anyone who wants to maintain a high level of activity. 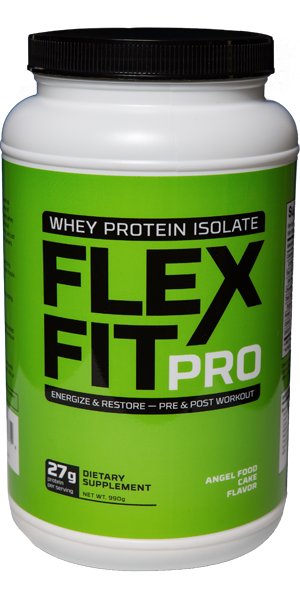 Flex Fit Pro provides high-quality whey protein isolate in a convenient powder that’s a deliciously flavored to taste like angel food cake. Satisfy your dessert cravings while promoting muscle growth, fat burning, and increased energy. 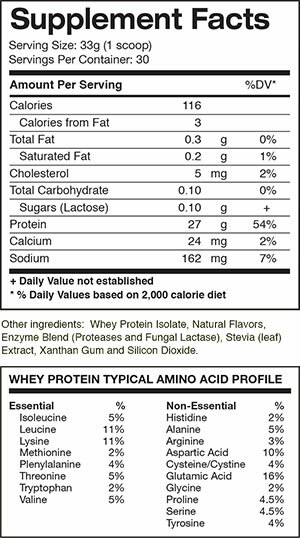 Flex Fit Pro Whey Protein Isolate is a low-fat, low-carb, fast-acting high protein source that’s great for supporting and maintaining lean muscle growth. Provides long-lasting, post-workout energy throughout the day by replenishing much-needed nutrients. Flex Fit Pro provides lean proteins without the additional carbs and fats and is low in calories. "The turn-around time for the shipping on my order was excellent."